While we are still excited about the first phablet device from Nokia, which has been recently acquired by Microsoft, the company seems to have many devices with massive displays in the pipeline, we now have the first press renders of the device. According to images of the alleged Nokia Lumia 929, the device would be yet another phablet device from the company which is yet to launch its first phablet yet. 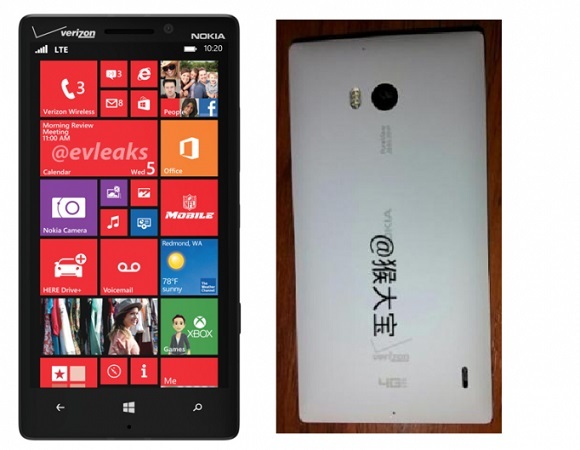 Based on the numbering, we feel the device would follow up the Nokia Lumia 928. While not much is known about the device, we can expect a 1080p display with a screen which might be a little smaller than the Nokia Lumia 1520 6 inches. Interestingly, the Nokia Lumia 929 would also feature a massive 20 MP PureView camera and obviously require the new GDR 3 update of the Windows Phone 8 OS. While it is not yet known whether this device would share the limelight with the Nokia Lumia 1520 at the October launch event, we can definitely expect it to be launched before the end of this year.